I have been browsing this from for a while now and actually didn't sign up to long ago. With that being said I am just starting my first Exo Chassis build. To give some back ground, I am currently fabricator mechanic as a profession at the city I live in. I previously was a tradesman (Boilermaker) and a certified welder and weld inspector (CWI). 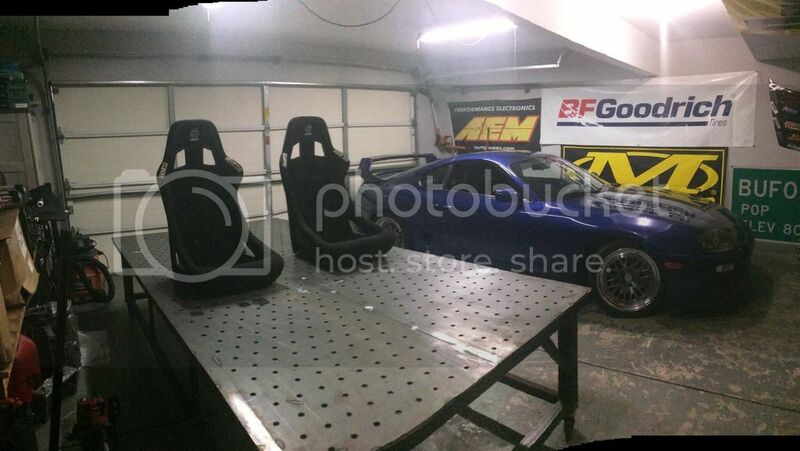 I have been fabricating and building cars since I was 16 (I'm 30 now) from track Miata's to 1300whp Supra's. I am not new to making things fast, I am new however, to Cad programs, in depth suspension setup and the computer design side of things. I have been following some inspirational builds on here much like Pook's TR42 among many others. I've started with the basics. 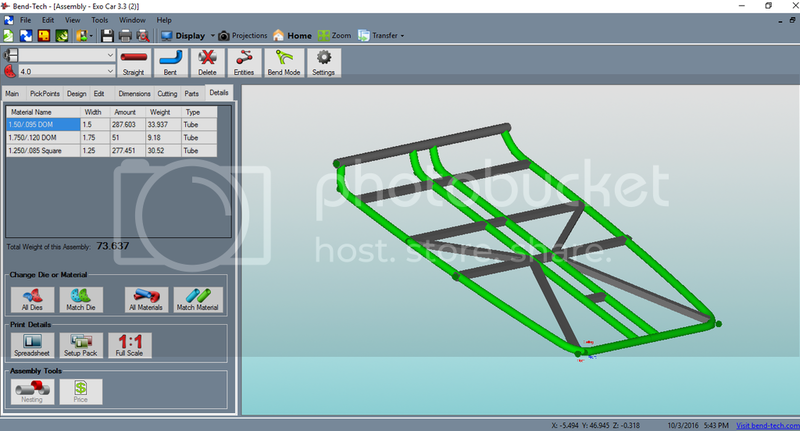 I am currently using Bend Tech software to design the large portion of the chassis. I have access to Pneumatic bender with bend techs "dragon" to save me time and make things a little bit easier. 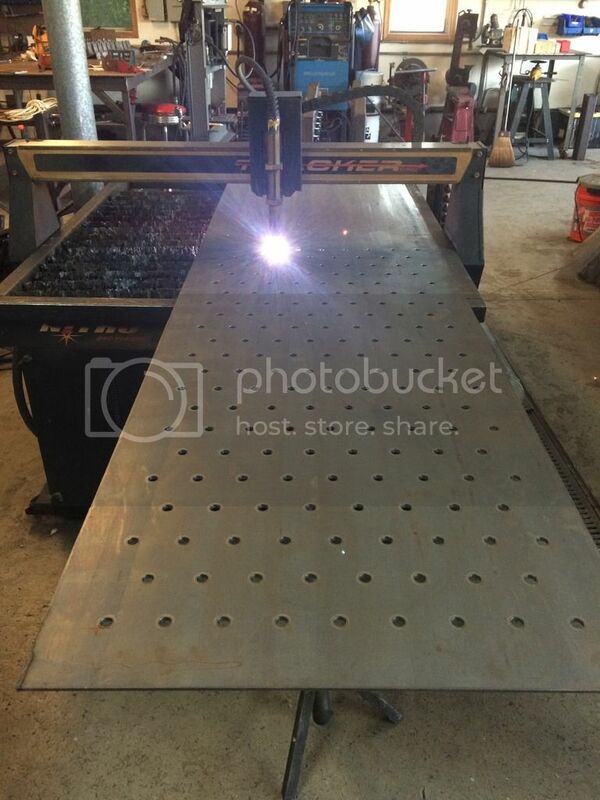 I Built a 5x10 Table with 5/8" holes in the 1/4 steel top to have as my starting point to help build it from the floor up. 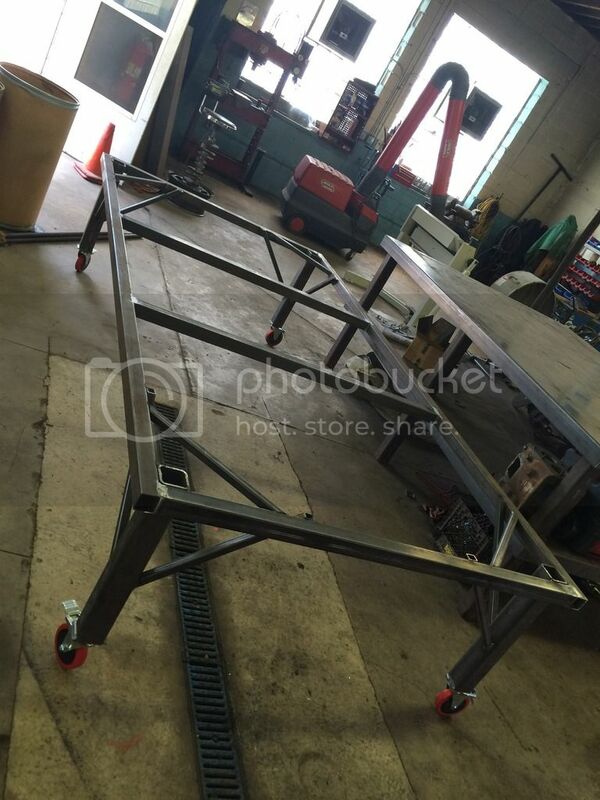 Below is the pictures of the table, the Lower section of the chassis where the seats will bolt to. Goal is under 1300lbs and 400whp out of a K24 Honda or New gen Ecotec. I will be asking questions and looking for input as my build progresses. Thanks for looking and thanks for the future help!! Welcome! You certainly win the "Build Table of the Month" award!! I suggest the typical Exo chassis needs more triangulation. I will be sure to have a lot of triangulation when I progress further. What is shown is just the very base of it. With that being said, has anyone had experience with measuring suspension off an existing factory car? I can get solstice/Sky stuff pretty cheap and have access to a lot of them and would like to use their factory design with this chassis. First, don't get the cart before the horse or you will not like the outcome. Get a detailed plan together. What is the intention of the car? Is it locost based or something else? Track, spirited mountain driving, autox, etc? This will dictate your design. If you are building the ultimate track day car for example, i would use the Solstice uprights but design new arms and mounting points. The bottom of the car is one of the last things I designed. If is is not a book build then start with your suspension design (with the correct tires and wheels in mind), design the suspension boxes, add the steering rack, add the steering column, add relative people sizes and go from there. Try to keep your unsprung weight as low as possible. To measure a factory suspension, go to Vsusp.com and put in all of the measurements they ask for from the stock car or what you find on the web. Make sure you click on all of the tabs such as wheels, upright, F/R suspension, etc. If you need the cad file for the solstice upright, i have that. Also, I agree and disagree with bobber on the triangulation (but we are homies ). Yes, you should triangulate the chassis (i could have done better and i still can) but other things are way more important like the suspension design. A rigid chassis with a crappy suspension will be awful but not necessarily the other way around. I just drove an exo car the other day with no triangulation what so ever, it was lots of fun but not a track beast. 2) It is too complicated or makes you compromise on something you cannot. 4) or if you like the crazy/scary "murder you" designs of older mustangs. Also from experience, at any point you run out of funds, screw something up or have family emergencies whatever... just keep going (cardboard is generally free). Shoot... i haven't had a working engine since May but i am still working on other stuff like body work, etc. in the meantime. We are here to help so keep asking questions. How about "Build Table of the Year Award"? I'm here to follow the build. From my years of FSAE, I will suggest starting from the tires and working backwards. Chassis is there to connect the dots in the end. Get suspension, powertrain, fuel cell, etc...floating in space and then design the chassis. Oh and if you're not an engine guru, leave a stock engine stock and work through the other bugs first. Also keep in mind that nothing is set in stone. You will be going back and forth changing things, just figure out what you are happy to compromise on and what you are not. Thanks for the Input guys, after doing a little more research and in-depth look at suspensions, I've decided to switch over and use Lotus Elise Suspension. Super simple. All tubular Control arms and relatively speaking cheap parts (ball joints, wheel bearing etc) Plus I have a lotus Elise sitting in my garage right now with a K24 Honda engine already in it. Homemade i Have now started by measuring the Pick ups on the lotus as a starting point and then building the chassis around those points. Lucky enough that it will also give me the general area of how big i need for the K series honda in it as well. Ill post up some pictures tomorrow. As far as engine building, fabrication and making horse power I'm not stranger to that. Im just not an engineer by a looooong shot. Cad files don't help me when idk how to or don't have the software to build a cad file lol.